As you may recall, I talked last week about the fact that Congress was working on legislation that would require improved 401(k) transparency. In short, workers would have to be provided with basic disclosures regarding options, risk, return, fees, etc. Assuming that this legislation made it through the Senate unscathed and was signed into law, it would have become effective for plan years beginning after December 31, 2011. 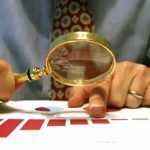 While this sort of disclosure isn’t currently required under federal law, the Department of Labor has been working to standardize disclosure requirements for defined contribution retirement plans. While some have argued that new legislation would delay the implementation of the DOL’s regulations, others have argued that this legislation “give the force of law” to the DOL regulations and help to clarify their authority to require retirement plan providers to conform to the rules. Either way, I’ve just learned that the Senate has proposed removing this provision from H.R. 4213. Thoughts? Required Minimum Distribution (RMD) Relief for 2008? 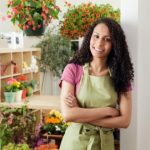 Best Retirement Plan for Small Business Owners? An old saying goes like this! “There is always FREE CHEESE in a mouse trap”, and that is what so called QUALIFIED PLANS are. One big TAX TRAP. Consider alternatives @ 401Klifeboat.com. Although this is a very good idea, people still need to get educated on these plans. To me, 401k retirement plans are one of the riskiest plans. They’re shockingly easy to get money in but people don’t consider all the strings attached to get the money out. There are no tax savings, just tax deferral. There are no guarantees and you can’t deduct any losses that occur. There is so much money being made on 401(k) plans by companies charging excessive fees. There is also lots of opaque fee-sharing arrangements involved as well. The mutual fund and insurance industry does not want that gravy train to end. So they unleash the lobbyists. The other point is nothing new, but it shows the hypocrisy of politicians. They created the Thrift Savings Plan for themselves, which offers the lowest cost investments on the planet, but they care little about the rest of America. As long as they have good retirement savings vehicles, pension plans, and health care, that is all that matters.